Since 1983, the USGS has documented 61 eruptive episodes at multiple vents along the East Rift Zone, one of Kilauea's weak spots. Lava is seen coming from a fissure in Leilani Estates subdivision on Hawaii's Big Island on May 4, 2018. Fountains of lava gushed out of the ground Friday on the Big Island of Hawaii, and residents were forced to flee from threats of fires and dangerous levels of sulfur dioxide gas. The Kilauea volcano started sending billowing clouds of steam and volcanic ash into the sky Thursday, prompting emergency officials to order mandatory evacuations. Friday, authorities continued to warn residents to stay away as molten rock shot 80 to 100 feet into the air from cracks in the ground in Leilani Estates, a subdivision in the Puna district. Later Friday, the U.S. Geological Survey reported a 5.3-magnitude earthquake near the volcano, followed about an hour later by a 6.9-magnitude one. The Hawaii County Civil Defense Agency said there was "active volcanic fountaining" in the neighborhood, and the USGS said that at least four fissure vents have opened in the subdivision so far - and that more outbreaks are likely to occur along the rift zone. At least two homes in the subdivision caught fire, Hawaii News Now reported. As Kilauea roared to life, the deafening sound of grinding rocks echoed in the air and fiery red-orange lava could be seen spurting from the ground. "It sounded like there were rocks in a dryer that were being tumbled around," said Jeremiah Osuna, who lives near Leilani Estates. "You could hear the power of it pushing out of the ground." Emergency officials reported dangerously high levels of sulfur dioxide in the evacuation area. Residents in Leilani Estates and Lanipuna Gardens were ordered to evacuate to two nearby community centers serving as shelters. Lava has been spilling out of Puu Oo crater since 1983, making Kilauea the world's longest continuously eerupting volcano. A state of emergency was issued by the County of Hawaii's acting mayor, and Gov. David Ige, D, issued an emergency proclamation and activated Hawaii's National Guard to help with evacuations. "Please be safe," Sen. Brian Schatz, D-Hawaii, wrote on Twitter. Signs of dangerous volcanic activity began Monday, when a lava lake vanished from the top of Kilauea. 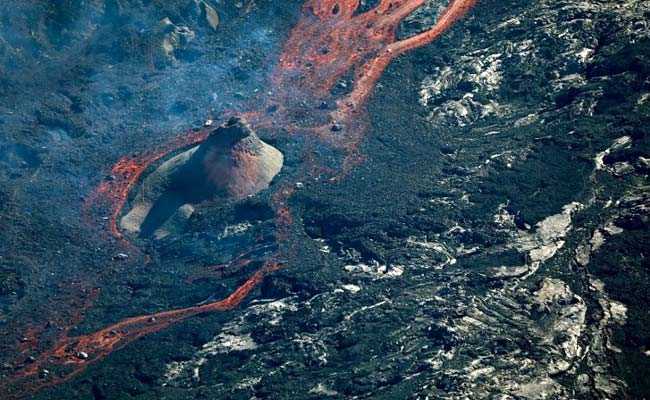 The flow of liquid rock that normally fills Puu Oo crater, on the volcano's eastern flank, had been abruptly turned off. A 5.0-magnitude earthquake jolted the island Thursday morning. Since Monday, the area has been rattled by at least 600 smaller quakes generated by magma flow from Kilauea, Janet Babb, a geologist with the Hawaiian Volcano Observatory, told The Washington Post. 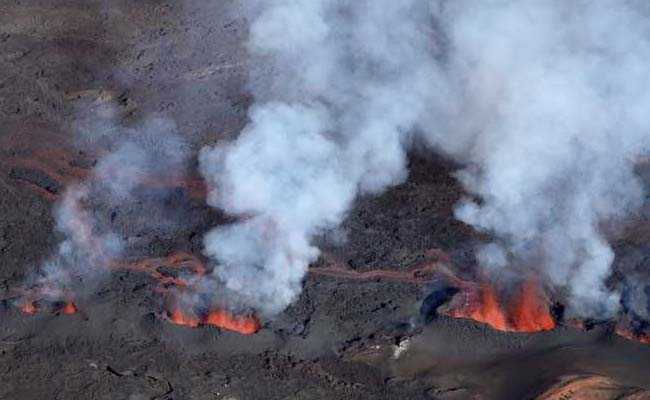 The episode is the latest in an ongoing eruption that dates back more than three decades. Lava has been spilling out of Puu Oo crater since 1983, making Kilauea the world's longest continuously erupting volcano. Magma moving upward through the mantle beneath Hawaii "ponds" in a reservoir that is roughly three miles wide and one to four miles beneath the summit. As pressure builds in the magma chamber, the magma squeezes through weak spots in the surrounding rock until it reaches a vent to the surface. Since 1983, the USGS has documented 61 eruptive episodes at multiple vents along the East Rift Zone, one of Kilauea's weak spots. The flows have submerged houses and roads under rivers of molten rock. Kilauea is one of the most closely observed volcanoes in the world, said Tari Mattox, a geologist who worked at the Hawaiian Volcano Observatory for six years. Some five dozen seismic monitoring stations dot its surface, listening for the rumblings of magma breaking through rock. Tiltmeters and GPS stations on the ground and radar satellites in the sky are used to monitor the mountain's movements; rising magma can cause the volcano to swell like a balloon. As gases dissolved in the molten rock are released into the air, they are detected by on-site and space-borne instruments. "Volcanoes give us warning when they're about to do something," Mattox said. The emptying of the Puu Oo crater's lava lake, the surge in seismic activity along the East Rift Zone and weeks of uplift around the crater all signaled that something was bubbling under the surface. But it was unusual that the new fissures opened up so far - 10 miles - from the main vent at Puu Oo. The Kilauea volcano started sending billowing clouds of steam and volcanic ash into the sky Thursday. Sally Sennert, a USGS volcanologist embedded with the Smithsonian's Global Volcanism Program, said there may have been a blockage in the usual path to the surface, diverting the molten rock. "Magma is going to look for the easiest way out," she said. Maija Stenback, a resident of Leilani Estates, said when she got a call from her son that the volcano had started erupting, it felt "unreal." It wasn't until she and her daughter saw lava coming up through the ground that she believed it. "Once you see it, then you know it's really happening," Stenback said. She and her daughter "were trying to figure out what's the most important thing to grab," she said. In addition to collecting legal documents and medication, Stenback said she quickly grabbed sentimental pieces from her jewelry box and stuffed the items into the pockets of her shorts. The Hawaiian Volcano Observatory had issued "watch" alerts for Kilauea since at least April 24. The alert level indicated that the volcano exhibited heightened unrest and increased potential for eruption. On Thursday, the alert level was changed to "warning," meaning a hazardous eruption is underway. "It's been handled very well," Stenback said. "Civil Defense has been saying they can't predict it, but there's a good possibility, so they made everybody very aware that this could happen." Communities near Kilauea have been evacuated many times in the past decades. In 1990, a natural tunnel formed by flowing lava broke, sending molten rock streaming into the community of Kalapana. By the end of the year, a church, a store and 100 homes were buried beneath more than 50 feet of lava, according to the USGS. 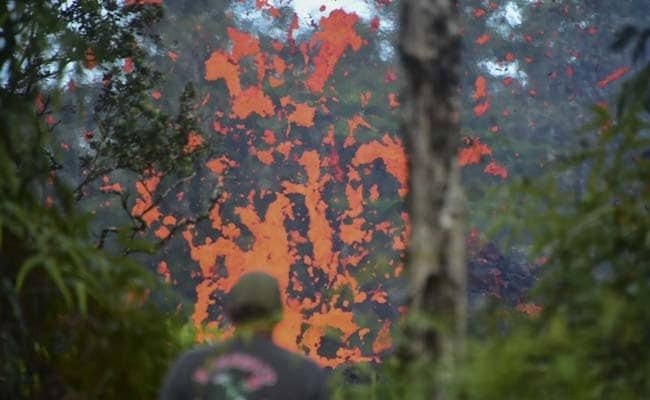 In 2014, lava threatened the town of Pahoa and its surrounding area. During that event, lava flowed as quickly as 20 yards per hour, and up to 60 structures were at risk. Babb said there is no way to forecast how long the new eruption could last. As the USGS noted, "the opening phases of fissure eruptions are dynamic and uncertain. Additional erupting fissures and new lava outbreaks may occur. It is not possible at this time to say when and where new vents may occur." "This stuff could go on for a couple days, weeks or months," Stenback said. "Just the thought of everything now being gone - it's just not real yet. Maybe the next time we go there, the house might be under 30 feet of lava."